Photocopy. 77 pages. 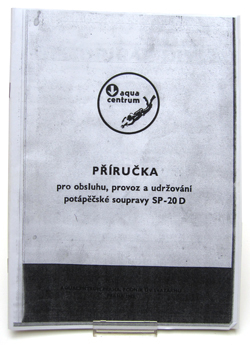 Well illustrated manual for the SP-20 D diving helmet and the rest of the equipment.